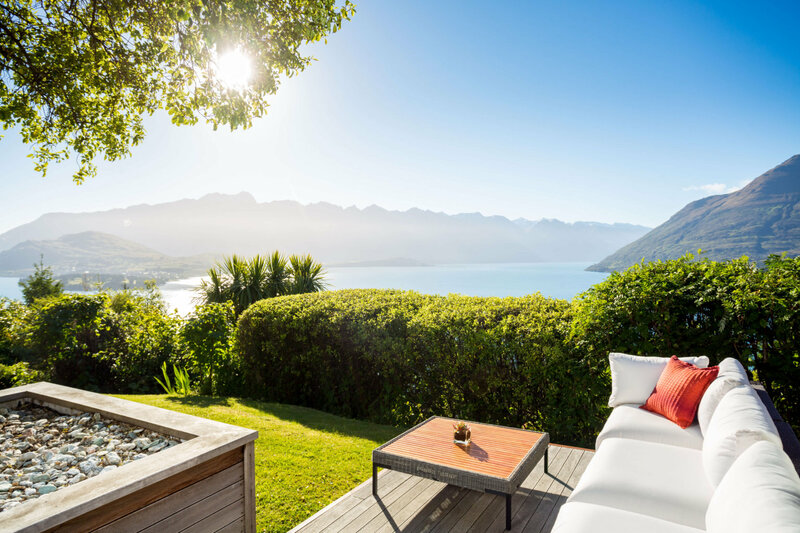 The five star Azur Lodge is set amongst three acres of native bush. 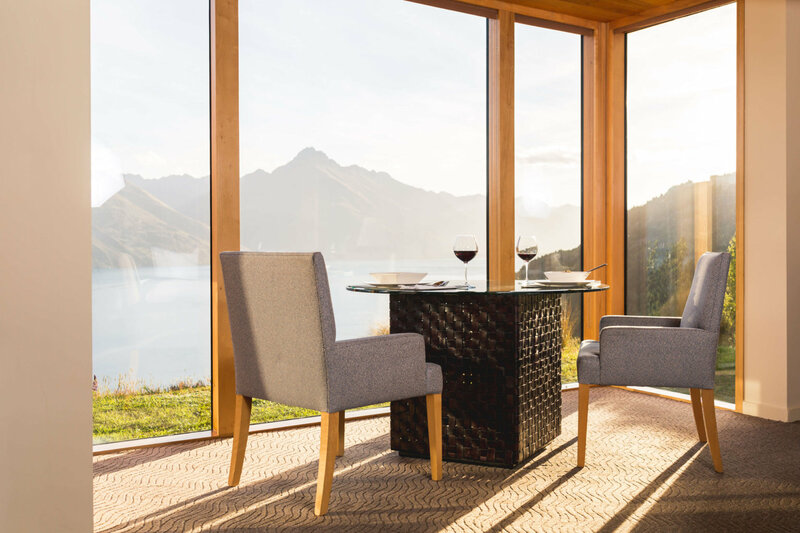 It captures the best of both worlds, amazing views in a tranquil and isolated setting yet only five minutes drive from downtown Queenstown. 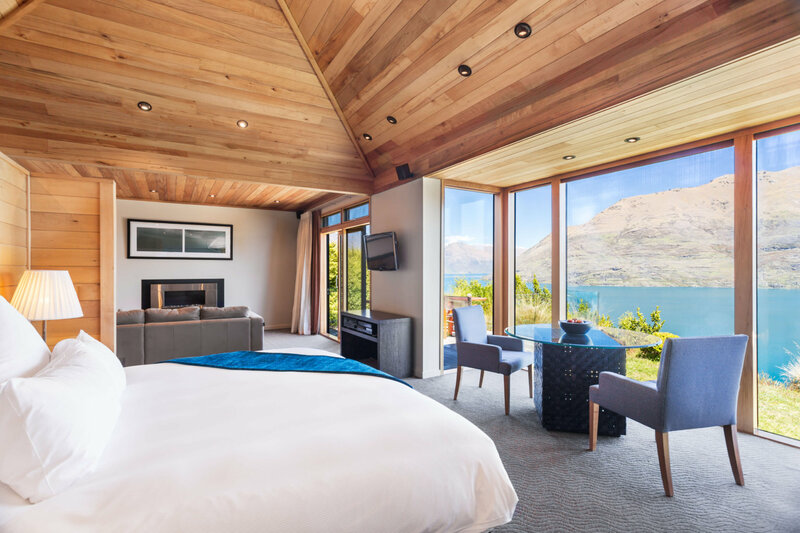 Accommodation is in nine Villas, all featuring contemporary design and understated luxury using silver beechwood and stone. 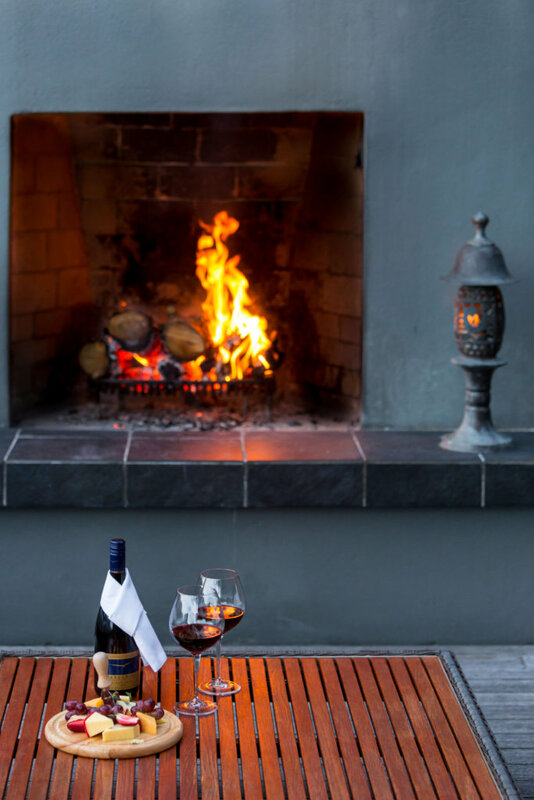 Each villa is 90 square metres in size and has a lounge area with fireplace and an outside deck to appreciate the surroundings. The indulgent bathrooms feature a free-standing spa bath set beside picture windows and separate shower. 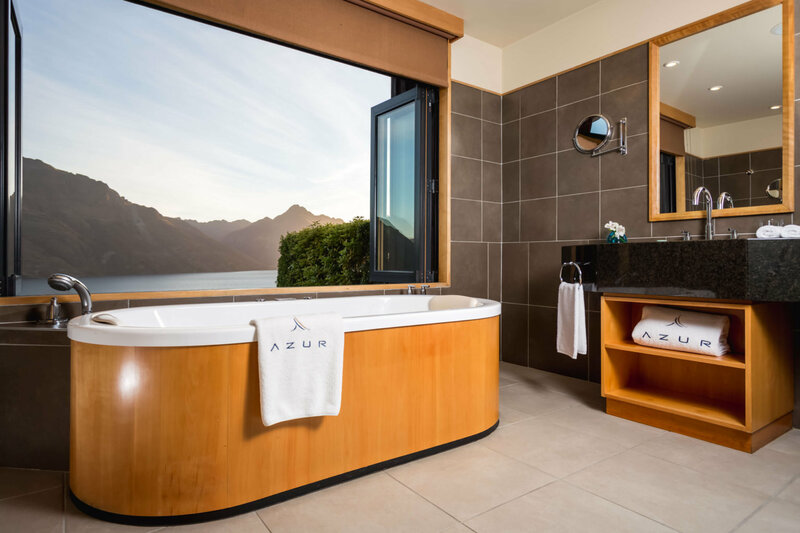 Azur Lodge is in close contact with Queenstown’s most celebrated restaurants of all styles and they will make reservations according to your wishes. 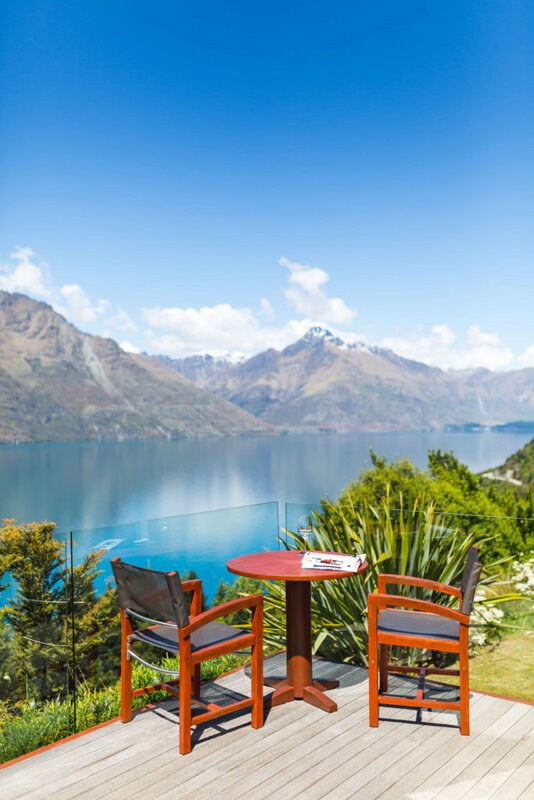 Transfers to and from Queenstown restaurants are complimentary.